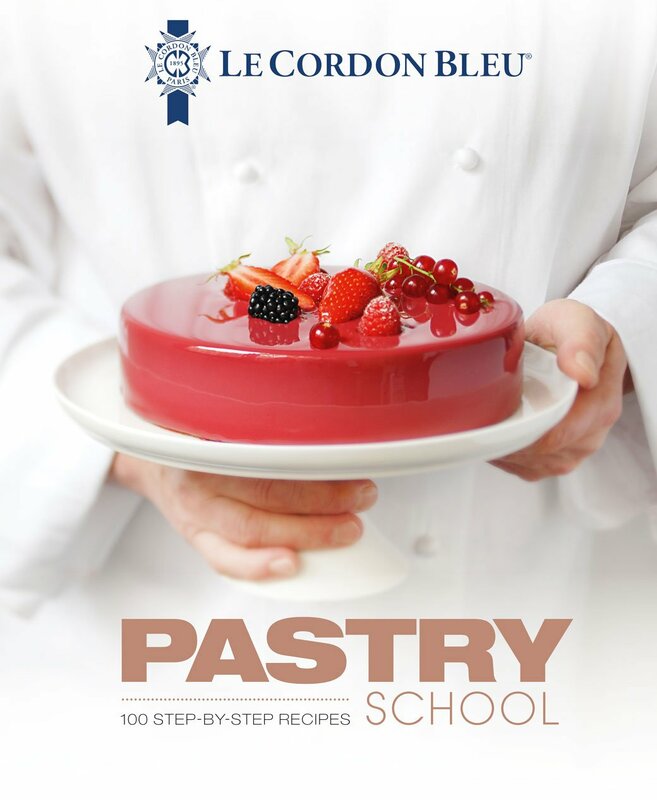 Pastry School by Le Cordon Bleu is a benchmark book with 100 tested, illustrated and fail-safe recipes. Alongside every recipe is a sidebar which presents a product, Chef technique or tip. The all-time classics (Black Forest Gateau, Fraisier (strawberry and mousseline cream cake), St. Tropez tart …). Simple family recipes (soft-centred chocolate cake, hot vanilla soufflés, tarte Tatin (upside down apple tart)...). More innovative creations (choux with yuzu and blond chocolate, chocolate and marshmallow tartlet, aloe vera and wild strawberry entremets, vanilla cubes and crystallized pansies…). With a network of more than 35 schools in 20 countries, Le Cordon Bleu is the leading global network of Culinary Arts and Hospitality Management Institutes. Le Cordon Bleu is committed to sharing the techniques and expertise inherited from the very best French cuisine Chefs. Founded in Paris in 1895, Le Cordon Bleu trains 20 000 students of more than 100 nationalities every year. Le Cordon Bleu offers a range of training programmes in gastronomy, wine, hospitality and tourism, from initiation through to MBA. The book is available worldwide in French, Portuguese, Chinese, Taiwanese, and English.